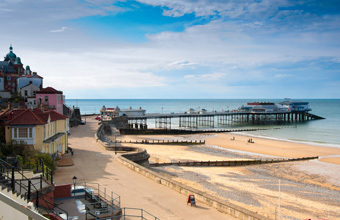 VISITORS and residents of Norfolk are being given the opportunity to share why they love the county and be in with a chance of winning £600 in holiday vouchers, a £200 donation to a Norfolk charity of their choice, plus tickets to some of Norfolk's best-loved attractions. The competition, launched by Sykes Cottages, aims to discover why the county of Norfolk is such a popular area with its residents and tourists alike. * Enter via Twitter using the hashtag #whyilovenorfolk. Sykes Cottages' search marketing manager Tom Lowes said: "The Sykes Cottages team is extremely excited about the #whyilovenorfolk competition! Because we have over 100 holiday cottages for rent in Norfolk at the moment, and because it's one of our most popular and fastest growing holiday destinations, we're looking forward to discovering more about why people love this fabulous county so much. Of course, because Norfolk is so popular, we're always looking to help more owners rent their properties in the area too." The competition closes on 1 November at 1am. A winner will be picked from all successful entries by judges from Sykes Cottages.